Harlen Campbell's first novel, Monkey on a Chain, was released by Doubleday in 1993. In addition to favorable reviews (FIRSTS magazine recommended the book as a collectable), Monkey was an alternate selection of the Book of the Month Club.It was also released as a trade paperback by Poisoned Pen Press of Scottsdale, AZ, and is available from the Poisoned Pen bookstore and website. The book is the first of a series built around the character of Rainbow Porter, who has been described as a "throwback to the outlaw/heroes of the old west." In fact, Porter was inspired by a combination of John D. Macdonald's Travis McGee and television's Paladin character, with more than a touch of the pirate thrown in. He is a man who lives on the edge, but who has enough intelligence and depth to make him memorable. 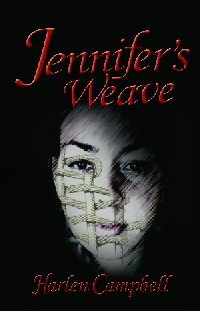 The second book in the series, Jennifer's Weave, was released in print by ABQPress in the trade paperback format, and was followed by Sea of Deception, a stand-alone action adventure novel which features Helen Daws, who Campbell calls "....the strongest and most interesting woman villain I've ever read, much less written." All three novels are also available as ebooks. Campbell attended New Mexico State University and has BA's in English and Journalism and an MA in English Literature. Except for a brief stint as a journalist with the US Army and an even briefer one teaching college English, he never used his degrees professionally. Before he started writing, most of his work was in construction, real estate and computer programming, but he has also done satellite tracking, tended bar, and turned a dollar in a number of less likely ways. After the publication of Monkey on a Chain, he hosted the Left Coast Crime mystery writers’ convention in Albuquerque, billed as the "last great crime of the millenium." Campbell's interests lie in the nature of the individual's relationships to society and to the world, but he is willing to apologize if they show up in his writing. In fact, he believes that a writer's primary obligation is to entertain, and that he should only be allowed to fool around with ideas if his readers don't notice what he's up to. Although he admits to no hobbies and energetically avoids most forms of exercise, Campbell enjoys an occasional solitary walk. In general, he prefers beaches to mountains, warm to cold, indolence to industry.